Our Facebook Group has a Blog Train. 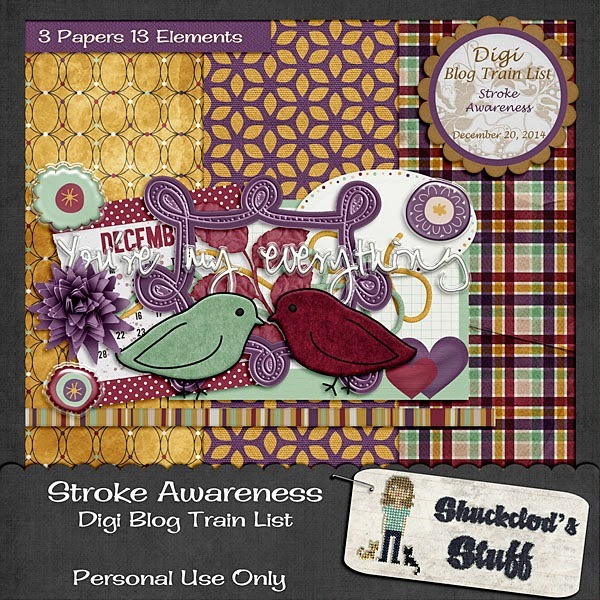 Our December one is on Stroke Awareness. Hope you like it. Please leave a comment or check the reaction box if you do. 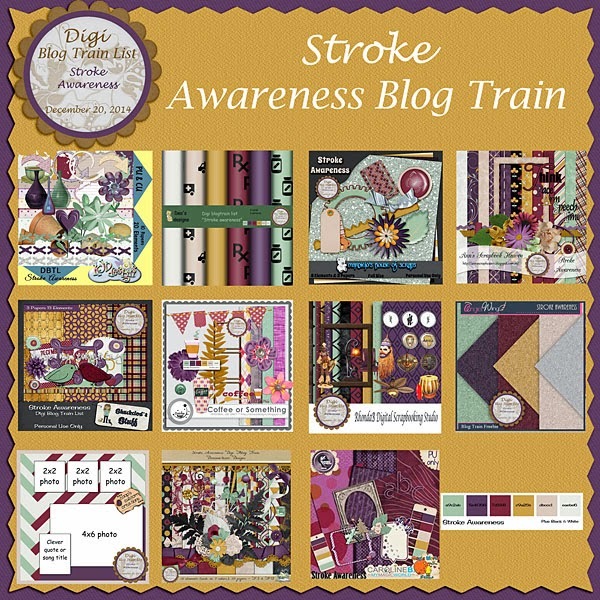 Would you like to participate in our blog trains? Shuckclod's Stuff You are here. Our Facebook Group has made a wonderful Winter Wish 2 Collaboration for you. There are 40 papers, 53 elements, 3 alphas (1 in 10 colors), 10 glitters and 4 templates. Please leave a comment.